Announcing an exciting, photographic-instruction oriented field workshop with professional photographer and instructors Alain Briot, and Jeff Schewe. This event covers both the technical and artistic aspects of photography. The emphasis is using technical excellence to develop a personal photographic style. The goal is to help you learn how to create photographs that are uniquely yours. 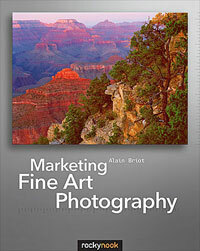 We are pleased to announce exciting news: Alain Briot and Natalie Briot are offering a feature packed, one of a kind workshop during which we will not only take you to some of the most photogenic locations in the world but also teach you how to best process and optimize your photographs to create fine art photographs that you will be proud to display. You will have the opportunity to study and work 1 on 1 with Alain Briot and Jeff Schewe. And, you will return from this workshop with photographs that you will be proud to display and share. 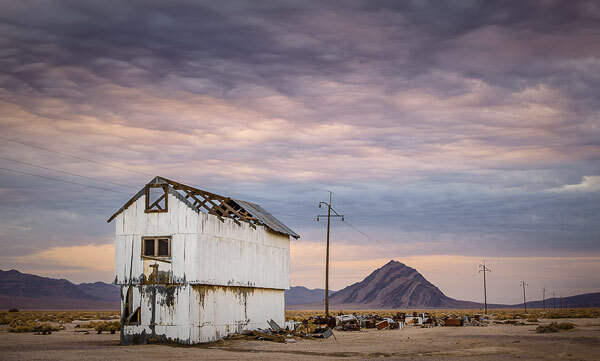 Originally from France, Alain has been photographing the American Southwest since 1983. Alain and his wife Natalie have lived in the Southwest for over 20 years. Their intimate knowledge of this beautiful area inspires them to photograph and to share their knowledge with others. Currently, Alain works with Phase One P45 digital back mounted on a Haselblad Camera. His work is influenced by his training as an Artist at the Academie des Beaux Arts in Paris. 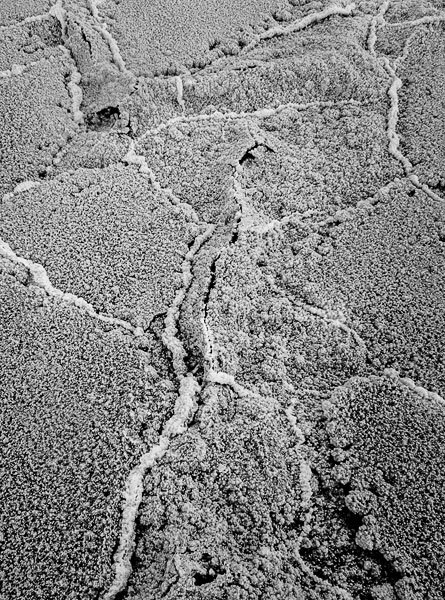 In addition to creating Fine Art Photographs, Alain is a columnist for Luminous Landscape.com (Michael Reichmann) and several other web sites. His essays on photography are published and read worldwide. Alain also publishes the Mastery Workshop on DVD series, which are available on this site. 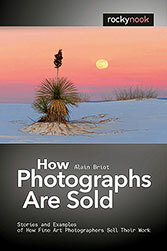 Finally, Alain is the author of three best-selling books: Mastering Landscape Photography, Mastering Photographic Composition, Creativity and Personal Style, and Marketing Fine Art Photography. Alain's DVDs and books are available on this site. The Summit starts with a presentation by Alain about how to photograph Death Valley National Park. Using a selection of his personal work together with maps of the area, Alain will show you where to find the finest locations, tell you the best time to be there, explain which lenses to use and much more. During this presentation Alain explains the most important aspects of image conversion, processing and optimization by teaching you the workflow he uses in his personal work. At the end of this presentation you will have a clear understanding of how to convert, process and optimize your images. You will also be able to use the same workflow that Alain uses to create his trademark images known for their unique color palette, soft contrast and other characteristics specific to Alain's Personal Style. 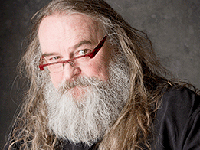 During the 2014 Summit in Death Valley, Utah, Alain gave two presentations on Personal Vision. 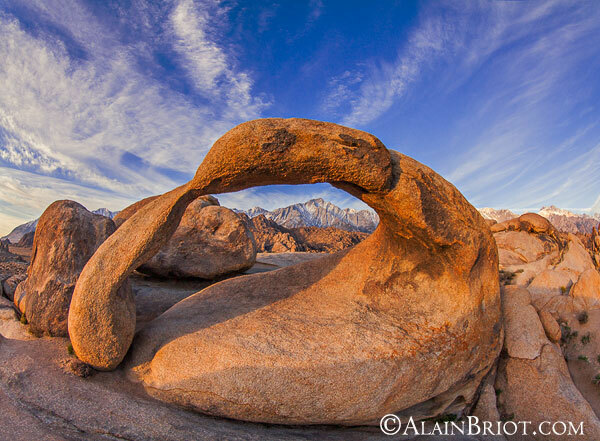 This year, during the 2019 Summit in Death Valley, Alain will build upon these presentations by offering two sessions on how to use composition to express your vision. 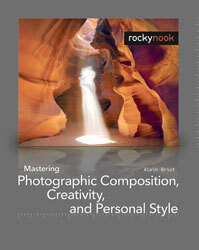 Mastering composition is fundamental to the creation of photographs that express your vision. Composition is the one thing that will make your work stand out as being unique, original and different from everyone else. In this first presentation Alain will explain what composition is and teach you both fundamental and advanced composition techniques. These include the golden rule, negative space, lines, light, color and many more. Vision is seeing what others do not see. But how do you show what you see to others? You do so by using composition to feature in your photographs what you see in your mind's eye. In other words you express your vision by turning your ideas into images that everyone can see. How do you do that? To answer this question, in this presentation Alain will show a variety of compositions to demonstrate how ideas are turned into photographs that convey an artistic vision. Alain will teach you the exact techniques he used to create these photographs so that you can use them in your own work. Jeff Schewe has been an award wing Advertising Photographer in Chicago for over 25 years. He is accomplished in tabletop, location, portraiture and particularly accomplished in computer imaging. In this first presentation on Friday evening Jeff will show a selection of his personal work and talk about the why and how these images were created. This is a fantastic opportunity to discover Jeff's work and find out what motivates his creativity. Jeff, who is a world class expert in both Lightroom and Photoshop,	will	demonstrate	the	most	useful	and	important	new features of both the latest versions of Lightroom and Photoshop. This is your opportunity to get ahead of everyone else by learning this software with the top expert in the field and putting it to use immediately on your own images. 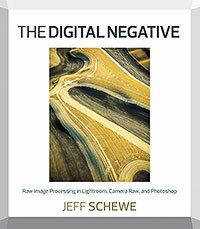 This presentation will expand on Jeff's best selling book: The Digital Negative. Additionally, if you bring your copy of the book Jeff will sign it for you. In this presentation Jeff will also show us a selection of his favorite tips and techniques. Be ready to learn something unique! What looks good on screen does not automatically look good on print. 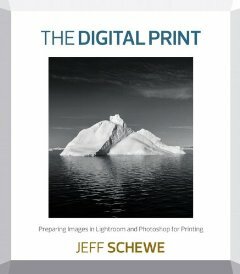 In this presentation Jeff will teach you how to get the best possible print from your digital files, printing from Lightroom and from Photoshop. We are working on getting a printer to print your images with so you can see first hand the differences between screen images and printed photographs. We will also look at different papers to see how the same photograph looks like on different substrates. Finally we will have a selection of fine art prints on display, from both Alain and Jeff, for you to study directly. as well as on his Online Portfolio. The Summit takes place November 1st to 4th, 2019 in Death Valley National Park, California followed by the Field Workshop November 5th to 8th. 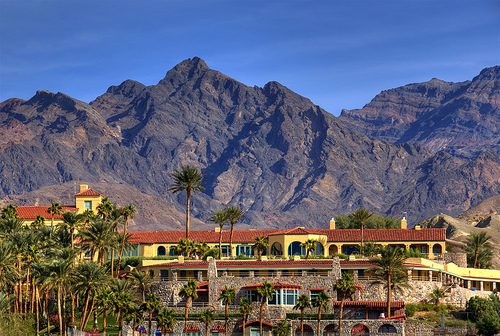 The Summit Hotel is the Oasis at Death Valley, which is located in Death Valley National Park. The closest international airport is Las Vegas, Nevada. Driving time from Las Vegas to Death Valley is approximately 2 hours. We will meet you at the Oasis at Death Valley Conference Room, in Death Valley, California, on Friday afternoon at 4pm Pacific Time. 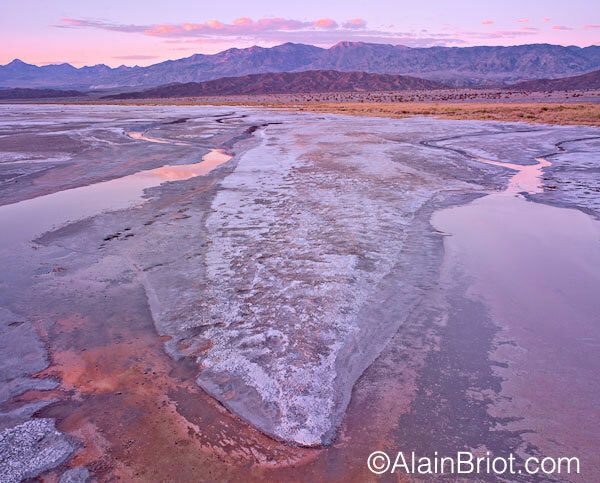 After the Keynote Address Alain and Jeff will present a selection of photographs from Death Valley and explain when, where and how they were created. The goal of this presentation is to help you become familiar with Death Valley and with the different locations that we will be photographing. After this presentation you will have a very good idea about where you can photograph in Death Valley and what time of day is best for each location. You will also receive a map showing the photographic locations in Death Valley, together with detailed direction telling you how to get to each location. You will begin your day with a photography shoot. 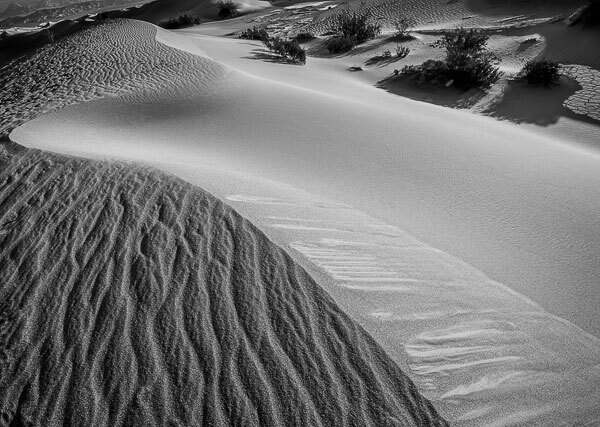 You will have the choice of photographing Death Valley from different overlooks. We will discuss some of the best locations for sunrise on Friday evening. Field sessions are self guided. After breakfast we will meet in the conference room at the The Oasis at Death Valley for a day of tutorials taught by Alain Briot and Jeff Schewe. The tutorial sessions will stop about two hours before sunset. You will then have the opportunity to photograph Death Valley at Sunset. Again, we will discuss which locations are best ahead of time (self guided). The conference room will be open in the evening for a supervised image processing session during which you will have the opportunity to work on your own images. Alain and Jeff Schewe will be available to help you with your photographs 1 on 1. On Saturday you will have another opportunity to photograph Death Valley at Sunrise (self guided). After breakfast we will meet in the conference room at the The Oasis at Death Valley for a second day of tutorials taught by Alain and Jeff. After lunch, we will reconvene in the conference room to continue the tutorial sessions. The tutorial sessions will stop before sunset. 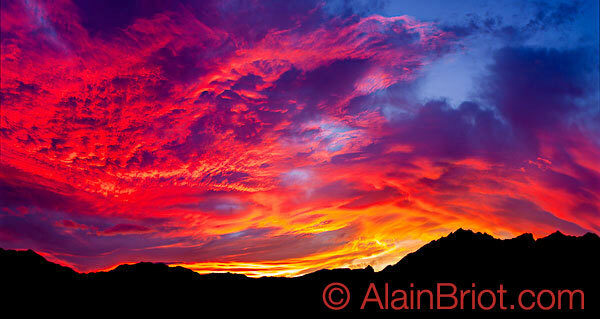 You will then have the opportunity to photograph sunset in Death Valley National Park (self guided). The conference room will be open in the evening for a supervised image processing session during which you will have the opportunity to work on your own images. Alain and Jeff will be present to work 1 on 1 with each participant. Again, you will have the opportunity to photograph Death Valley at sunrise (self guided). After breakfast we will meet in the conference room at the The Oasis at Death Valley for a third day of tutorials taught by Alain and Jeff. After Lunch we will reconvene in the conference room to review the photographs you created during the Summit. Each participant will present his or her work to the class. Participants and instructors will have the opportunity to offer critiques, compliments, comments and suggestions. 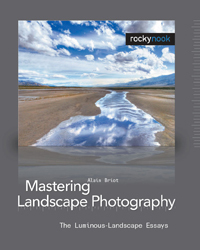 This photography review will a great opportunity to receive feedback on your work. Participation in the photography review is voluntary. You are free to decide whether you want to participate or not. However, we strongly encourage you to participate because this is one of the most important learning opportunities offered to you during the Summit. 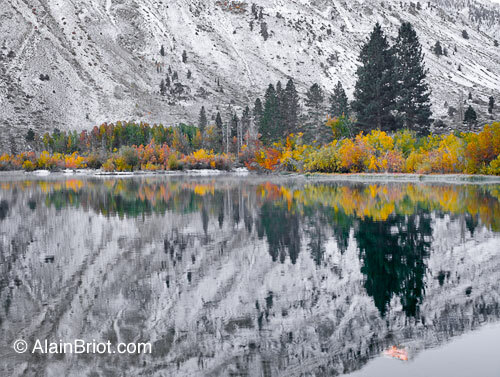 Immediately after the Summit, Alain and Natalie Briot offer a three-day Photographic Field Vision Workshop to the Eastern Sierra Nevada. This unique Field workshop is scheduled on November 5th, 6th and 7th. This field workshop is designed to build and expand upon the concepts taught during the Summit by exploring the concepts of Creativity and personal style on Tuesday and then getting started designing and working on a personal project on Wednesday and Thursday. 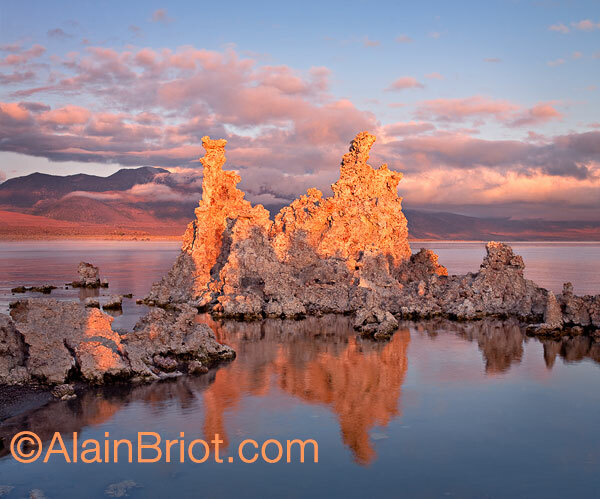 This workshop is also designed to provide you with a unique opportunity to visit and photograph several of the most beautiful landscapes in the Southwest, under the guidance of Natalie and Alain Briot who have lived here for over 20 years. You will acquire new photographic skills by conducting Photographic Skill Enhancement Exercises every day under the guidance of Natalie and Alain. We will depart from Death Valley on Tuesday morning for this extended workshop experience. Below is a summary of our schedule and teaching syllabus for this exciting Photographic Vision Field Workshop. We will meet you at the The Oasis at Death Valley (the Summit Hotel, then travel with you to the Eastern Sierra Nevada with stops along the way for photography. Afternoon photography will be spent in the Mohave Desert, and sunset photography will be in the Alabama Hills, one of the most photogenic places in the Southwest. Alain and Natalie have been photographing this area since 1983 and know precisely where to go and at what time of the day to be there. Our travels on Tuesday will take us to areas that offer fantastic photographic opportunities all day long. Presentations and discussions on Creativity and Personal Style will take place during the day. We will stay in Lone Pine, California, that evening. On Wednesday we will continue our exploration of the Eastern Sierra Nevada. We will explore the area from Lone Pine to Bishop. Sunset will be near Bishop that evening. Presentations and discussions on Creativity and Personal Style take place during the day. We will stay in Bishop, California, that evening. On Thursday, we will leave Bishop and drive through the Eastern Sierra Nevada to Lee Vining. We will explore the area located between Bishop and Lee Vining, stopping to photograph little know areas that Natalie and I discovered through our explorations. Our final destination on Thursday is Mono Lake, one of the photographic jewels of the Eastern Sierra. We will reach Mono Lake in the afternoon, and we will spend afternoon and Sunset photographing this amazingly beautiful location. We will show you the best spots to be at for afternoon and photography, and provide you with all the help you need to bring back great photographs of this unique place. The workshop ends after Sunset. You can stay in Lee Vining that evening, the town closest to Mono Lake, or start driving back to your destination after sunset. The instruction during the Summit and the Field Vision Workshops will consist of tutorials, presentations, question-answer sessions, photography reviews and photographic skills exercises . You will receive a syllabus and several handouts covering the subjects that we will study at the start of the Summit and of the Field Vision Workshops. During the Summit, all photographic instruction will be done at the Summit Hotel, in the conference room. We will cover how to photograph Death Valley National Park, as well as other locations near Death Valley, during the Summit. We will go over the specific challenges offered by each location, and will teach you how to overcome these challenges so you create professional photographs. You will then have the opportunity to visit these locations on your own, and you will have the freedom to select the location(s) of your choice. Once back at the Summit Hotel we will help you convert, optimize and review your photographs. The last day of the Summit we will review your work during a 3 hour photography projection presentation. During the projection, Alain, Natalie and Jeff will comment on each participant's photographs and make suggestions for improvements and for reaching the next step with your work. The photography review is one of the highlights of this Summit. If you have been thinking about building up your portfolio, if you have been thinking about becoming more serious about your photography, if you want to photograph some of the most beautiful photographic locations while receiving photographic instruction, if you want to learn how to best convert your photographs RAW, prepare them in Photoshop and other programs and create Fine Art Photographs don't hesitate another second: sign up now. This event is truly a once in a lifetime opportunity! We will meet you in Death Valley, California, at the The Oasis at Death Valley. A special room rate is available to participants. All location shoots during the Summit will be in Death Valley National Parks or near Death Valley. 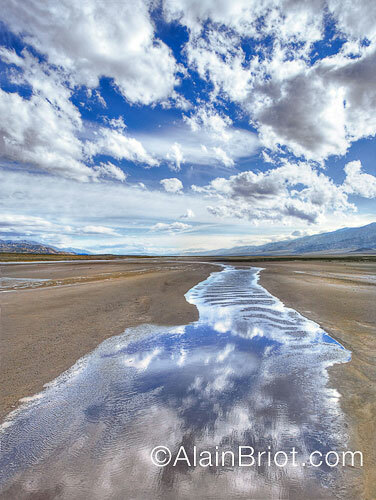 All the photographic locations are within a short driving distance of the Oasis at Death Valley. All tutorial and review sessions will be conducted at the The Oasis at Death Valley. The number of participants for the 2019 Summit is strictly limited to 40. This limit is set to insure a low participant to instructor ratio as well as a pleasant experience. Keep in mind that the Summit is a seminar-style event, and not a field workshop. The field workshop after the summit, are limited to fewer participants and are taught by Alain & Natalie Briot. - A digital camera or a film camera and a digital camera. Photographers using any format cameras, from 35mm to medium format, 4x5 and other are welcome. If you only shoot film, you can bring scans of your photographs to work on during the Summit. - A laptop with Adobe Photoshop CS5 and other imaging software you currently use. - A vehicle as you are responsible for your own transportation to Death Valley and to the locations we will be photographing during the field workshop. Registrations are allocated on a first come, first served basis. We recommend you act now because the Summit and the Photographic Field Vision Workshops sell out quickly. If you have any questions before registering, click here to send us an email inquiry. We are pleased to assist you with any questions. You can also call us at 800-949-7983 or 928-252-2466 . We are located in Arizona. Summit participants benefit from a special group rate at the Ranch and at the Oasis at Death Valley which are the Summit Hotels. You will be emailed the hotel contact information (phone, email and address) as well as the code to get your discount rate, after you register. There is of course no obligation for you to stay at the Summit hotel. You are free to stay at any other hotel you like. Camping and RV facilities are also available near Death Valley if you prefer this option. - Food, lodging, transportation and park entrance fees are not included. While most participants stay at a hotel, some occasionally decide to camp. Similarly, some participants may want to eat with the group while others may prefer to be on their own. Finally, some participants may want to return several times to one location, while others may not want to visit this location. This arrangement provides for maximum flexibility while keeping the cost of this workshop to a minimum. It will gives you maximum freedom in planning your meals and give you time by yourself if you choose. - We will email you directions to Death Valley as well as a list of hotels in the Death Valley area when you register for the Summit. You will receive an email indicating our Friday evening meeting time as well as additional information approximately 2 weeks before the Summit. -We have a no tag-along policy. Spouses, friends, significant others and non-photographers need to be registered as full-time participants to join any aspect of this workshop. This includes meetings, photography reviews, lectures, meals, travel and all other aspects of this workshop. For further details read our Workshop FAQ. - We do not carry cell phones because coverage is often unreliable or unavailable in the remote locations where we will be photographing. Instead, we use walkie-talkies to communicate with each other during field workshops, when we are on location and when we are driving. If you become separated from the group we will call you on your walkie-talkies to find out where you are. For these reasons we ask that you bring a walkie-talkie, such as a Motorola Talkabout or equivalent, to the Summit. Please set your walkie-talkie to channel 4-5. 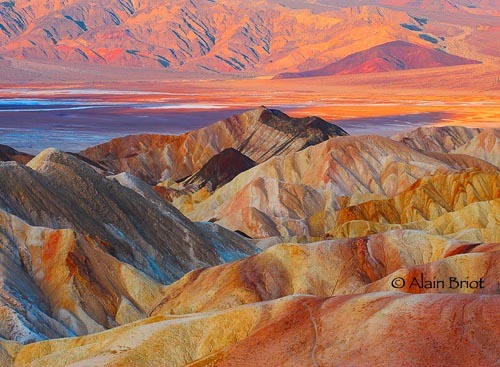 Fascinating Patterns with Mauve Color Palette, Death Valley.